Fellowship citizens and residents; happy new year. As we end a significant year in our history, I am immensely proud of you, the people of Antigua and Barbuda. In the wake of the mightiest storm in the Caribbean’s history, that laid waste to our Barbuda, the people of this nation showed their capacity to stand in each other’s shoes. When fortune turned against some of us; the rest of us stretched out a helping hand. Never was the outpouring of our national concern so deeply shown. The mighty force of Hurricane Irma tested our spirit, but it could not break our resolve. The people on Antigua opened their homes; their wallets and their hearts to the residents of Barbuda, in an act of brotherhood, that celebrated the kind-hearted character of our nation. We showed that we are indeed our brother’s keeper. However, the task is not yet over. Rebuilding Barbuda still lies before us. But, think how devastating it could have been, had the government and the people of this country; not demonstrated leadership at a time of adversity, compassion at a time of tragedy and determination at a time of calamity. We must recall, that there was no manual in the entire Caribbean for the evacuation of every man, woman and child from an island. There was also no guidebook of how to provide for evacuees in temporary shelters, and how to care for them. Yet, we accomplished all this, and except for one child, Carl Francis Jr, whose unfortunate passing we shall forever mourn, the residents of Barbuda are alive and well. No one contracted any waterborne or vector borne disease. No one is without food or shelter; none have been left abandoned; the needs of all have been attended. In the New Year, the opportunities for the residents to return to Barbuda will be expanded and enhanced. My government will strive to make each of them more secure, more resilient, and more endowed to overcome any new challenges that Climate Change might bring. Barbudans, for the first time in recorded history, will be empowered with freehold title, as absolute owners of land in Barbuda for a token consideration of one dollar. This will unlock the economic potential of the land that had laid fallow for centuries and will provide the citizens of Barbuda with significant economic opportunities, which hitherto, they were denied. Evidently, the characterization of this empowering initiative as a “land grabbed” is a mischievous falsehood, that is being spread by a few political opponents who make their living by arousing fear among the many. And, I announce now that when the government pre-school is rebuilt and re-opened on Barbuda, I will propose that it be named after Carl Francis Jr, so that while his young life has been extinguished, the memory of him will never be erased. He will live-on in all those children who graduate from that school, dedicated to his remembrance. My sisters and brothers, there are other reasons for my profound sense of pride in every person in our country. Just consider what we achieved together over the last three months despite the damaging effects of September’s hurricanes that caused us to close-down the country on three occasions, with all the attendant loss of revenues. We successfully hosted the Cuba-CARICOM Summit and the OECS Parliamentary Assembly, welcoming more than a dozen Heads of Government and their delegations, and displaying our capacity and our generosity. You will recall the Cuban President, Raul Castro, expressing publicly, his deep admiration for our performance in the wake of circumstances from which other countries remain crippled. Receiving President Castro on his first visit to any CARICOM country was also a profound honour that has resulted in enhanced arrangements between our two countries; in health, education and tourism that will redound to the benefit of all. And, what a spectacular Christmas Season we had. On Boxing Day, more than 26,000 cruise ship visitors enlivened St John’s and other parts of our country, bringing a fillip to our businesses, large and small. The well-being you felt was noticeable in the large number of shoppers and in the camaraderie that abounded everywhere. It was noticeable to all, that our economy continues to grow; employment continues to increase; and our prospects continue to improve. Your ABLP administration is working. Antigua and Barbuda is working. We accept that more jobs need to be created, especially for our school leavers. You can rest assured that they will be created from the plethora of public and private sector investments that are taking place in our country. Private Investments are ongoing to include : The Calvin Ayre US$25M Informatics Centre at Woods, Sunwing’s US$75 renovation and expansion of the Royal Antiguan Resort, US$50M Marriott Autograph Hotel at Yeptons, the Callilou Cay hotel At Morris Bay and the expansion of Nonsuch Bay, Tamarind Hills and Verandah Hotels. The St. John’s Port Modernization project worth US$90 million, is scheduled to start on January 15th. This project will be the single largest public sector investment undertaken by any government, past or present and will facilitate the transformation of the facility into a regional transshipment port. A further $80M will be invested in 2018, to construct a fifth Tourism birth, at Point Wharf, to accommodate the Oasis class ships, in time for the next cruise tourism season. My government will invest $250M to repair and expand the road network throughout Antigua & Barbuda in 2018. Presently, we are investing $50M to build a new airport runway on Barbuda which will be completed by September of 2018. Barbuda will also benefit from a further $125M to assist with the rebuilding of homes, public institutions and infrastructure, as well as a green energy solar voltaic plant. The latter will make Barbuda the first totally green island in the Caribbean. West Indies Oil Company continues to expand its tank farm and will invest an addition $45M in 2018. These and other investments will result in an unprecedented level of growth in 2018. Economic Growth in 2018 is projected to exceed $400M or 10 percent of GDP. This would be the strongest real, organic growth, in the history of the country, that was not driven by an external event, such as Cricket World Cup. The people of Antigua and Barbuda can expect a record economic performance once again, to emerge as the fastest growing economy in this hemisphere in 2018. At Half Moon Bay where my government has paid down the debt of US$48 million to under US$20M, the Replay Group, will commence demolition of the derelict structure and will begin construction of a new hotel by the third quarter of 2018. Likewise, Paradise Found will commence demolition shortly and construction of the US$250M resort in Barbuda, later in 2018. The future of Antigua is bright. Young people particularly will be given opportunities to begin to climb the ladder of their own success, and to reach down and pull others along with them. Despite every trial, we have enjoyed three and a half years of economic growth that halted the decay in our economy and set us on a new course to prosperity. This is a country recovered from the way down. This is a country reset, and on its way up. And the thanks for this is due to you – each person in Antigua and Barbuda. Each resident – each citizen. In July 2014, you chose to end incompetence, inefficiency and rampant corruption. You recognised the red warning lights, and took back our country from the failed experiment, the blues of failure. The conditions were grave and they required urgent, creative and innovative attention to raise hundreds of millions in financial resources to fix them. Fixing them also caused a delay in the implementation of some of the policies that my government had adumbrated prior to the general elections. I am a forward-looking person; looking back is not something in which I indulge, except to avoid the mistakes of others and to navigate a better course for the future. However, to accurately assess the performance of my government, we must take into consideration from whence we came. The UPP’s poor policies and worse; bad governance, took our nation to the precipice of an almighty calamity. We must be informed by the damage they did, and remind ourselves of the Herculean task of redeeming our nation. In June 2014, the Nation’s finances were left in shambles. Our country suffered three years of negative growth, financial sector instability, high unemployment, mounting taxes, high cost of living, and shockingly bad governance, including a consuming sea of insolvency among several government statutory bodies. 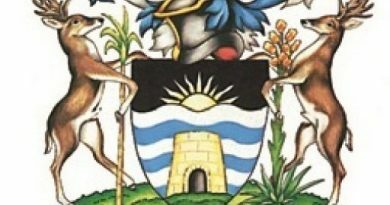 At that time, the Transport Board, APUA, Antigua Port Authority, CMC, Antigua Barbuda Development Bank, Antigua Mortgage & Trust, Free Trade Zone, and others could not meet their payment obligations. Today, many of these institutions including the Antigua Port Authority and Transport Board have returned to profitability with positive cash flows. 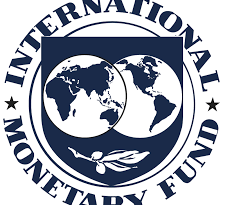 It is a matter of public record, that the previous Government bankrupted our nation and, to try to bail out its abject failures, took-on an IMF structural adjustment programme in 2010, borrowing $320 million. The purpose of that massive borrowing, the repayment of which my government has reduced to $22M in just three and a half years, was ostensibly to reduce debt arrears, to stimulate growth and to increase employment in the economy. Yet, the debt arrears increased to the extent they could not pay for basic goods and services to include petrol, electricity and water. Whereas they restructured a number of loans with repayment moratoriums; subsequently they became delinquent again because of non-payment. It is a matter of public record that our country experienced three years of negative growth under the mismanagement of Harold Lovell as Minister of Finance. Cumulatively that amounts to a regression of 21 percent. Simply put, nearly a quarter of Antigua and Barbuda’s economy went up in smoke, burnt by searing incompetence and maladministration. The single largest error of the UPP era, was the appointment of neophyte Finance Minister, Harold Lovell. He increased the debt to GDP to 104 percent, collapsed the economy by over 20 percent and put over 10,000 people out of work. It was an apocalyptic period, characterized by job losses, home and car repossessions and business failure. In dollar terms, more than eight hundred million dollars in value was destroyed in three years. And, while the previous administration sucked over eight hundred million dollars out of the economy; it also borrowed huge sums of money, applied stringent taxes to already overburdened tax payers, caused businesses to close, new investment to halt, unemployment to rise, mortgage and loan defaults to increase, and poverty to expand. They decimated our country and the living standards of our people yet; these same people, have the effrontery, the unmitigated gall and shamelessness, to challenge the sterling performance of my government. This is boldfaced shamelessness at its best. I am pleased to say that over the last three and a half years, my government has restored the eight hundred million dollars, that Harold Lovell demolished, and we are now on a firm trajectory to further growth and development. It is worth recalling that by 2016, we transformed our economy, to the extent; It became the fastest growing economy in this hemisphere at 6.5 per cent. We also regained our enviable place as the largest economy in the OECS sub-region; larger than the other countries with bigger populations than ours. Despite pledges not to introduce personal income tax and not to impose sales taxes, the UPP blanketed every aspect of the economy in a swarm of taxes, fees and levies that impoverished people and crippled business. Costs increased; incomes declined; car and home ownership declined; unemployment and poverty expanded; young people lost hope; and life became increasingly hard. The previous administration’s borrowing was not restricted to the whopping $320 million from the IMF. There were other borrowings which amounted, massively, to over $2 billion in the ten years they were in office. Our country was burdened with a debt stock of approximately $3.7billion with a repayment schedule of over $430 million annually. That was a severely constraining amount in debt repayment alone, considering that our annual total recurring tax revenue stood at approximately $600 million for the three previous years. Notwithstanding this, my government has reduced the debt to GDP ratio from 104 percent to 73 percent today. The previous administration was also not paying its bills to suppliers. Despite all the taxes they imposed, they had borrowed and stolen so much; introduced so many wasteful projects, which were not revenue-generating, that they had no money. My Government tackled that problem immediately, and saved the country from defaulting on the IMF debt and the dreadful consequences that would follow. This was recognised by the IMF in its public statement on December 15, 2014 when it said that “Directors welcomed the new government’s swift action to settle arrears and commitment to remain current with its obligations to the Fund”. The story of unpaid obligations did not end there. LIAT was owed $8.5 million and the Chinese Government over $19 million in arrears. China Exim Bank was about to down grade our debt, discontinue funding the completion of the new VC Bird Terminal and decline the consideration of a US$90M loan proposal for the new cargo port. Our Government moved swiftly and was successful in clearing all of these arrears. Within our first six months in office, we had to raise one hundred million dollars in clearing arrears and keeping current the Chinese and IMF loans. These are funds that could have been utilized in the construction of homes. We invested US$30M to dredge the St John’s Harbour and to repair and expand the Heritage Quay pier. The result is the Quantum Cruise ships that we welcomed last year and this year, and the bumper season we enjoyed this Christmas, bringing money to people’s pockets and an improvement in the quality of their lives. Had we failed to invest the US$30M in the cruise facility, we would have seen a continued decline of cruise arrivals instead of the exponential increase this year. Supplier credit was a major problem. But, we transformed those dire situations involving WIOC and Sembcorp; and turned our nation from a bad debtor to a successful owner. We empowered the people, and made them owners and not borrowers. Our concession policies on vehicles have mitigated against the need for individuals to incur costly loans to acquire vehicles. And today, an average Antigua and Barbudan family has at least two vehicles. West Indies Oil Company was owed in excess of $80 million and was threatening to discontinue supply of oil. My government turned-around that entire situation, buying WIOC without a cent of taxpayers’ money through a creative public sector-private sector partnership that not only transferred wealth to the people of Antigua and Barbuda, but gave taxes and dividends to the Treasury, amounting to $15M over the last two years. Water supply was also a tale of neglect. The main water supplier – SEMBCORP Antigua Water Ltd – was determined to cut off supplies to the entire country, because the previous administration owed in excess of $22 million and offered no repayment plan. This was the kind of callous behaviour that persisted under the UPP. They made no provision for providing the people with water, even as they were campaigning for a third term in office with lies and false promises. Providing this nation with water became my government’s first priority. We extinguished SEMBCORP’s $22M arrears, absorbed it into the Antigua Public Utilities authority; thereby again turning our people from bad debtors to owners. Since then, we have invested over $25M in reverse osmosis technology and capacity to meet all of our water needs, resulting in an aggregate investment of $45 million in resolving our water problems. In 2018, we will install a third reverse osmosis plant to satisfy the water demands of our farmers. Notwithstanding the recent rains, we are still operating in relative drought conditions, yet we are producing enough water to satisfy the domestic demand. But, there is a final stage to go. We must replace the old piping system that bursts from the new and improved water pressure. We are getting there, and soon. In the meantime, we are no longer debtors, and no longer at the mercy of crony government and private owners to supply us with water. The UPP government also left the country with a huge debt of $221 million in compensation to the Antigua Power Company. It was a debt that this nation would have struggled to pay, and which could only have been managed by not spending on health, education and other social welfare sectors. A creative and innovative solution of using a Power Purchase Agreement, saved APUA and the people of our country, a net amount of approximate $200M; which can now be used for social and economic advancement. Then there was the Car Park, a huge eye-sore in our nation’s capital for years. It was a blot on the landscape of St John’s and a shameful embarrassment obvious to all locals and visitors alike. My government has turned that around too. We have purchased the unfinished car-park property valued at US$25M for US$6 million and, in another public sector-private sector partnership, with local Antiguans and Barbduans, we will be transforming the building into a multi-purpose car park and office complex, that will both save and generate revenues. UPP reckless liabilities are being turned into ownership and earnings for the people of Antigua and Barbuda under my administration. Lest we forget, the UPP left our nation with the biggest banking crisis in the history of the Eastern Caribbean Currency Union. It was a crisis that seriously destabilized our country’s financial sector, and would have robbed masses of our people of their life-savings; many of whom would have been reduced to poverty instantly. ABI Bank was bankrupt and on the point of collapse. My Government resolved the ABI Bank issue and stabilized our financial sector, thereby saving over half-a-billion dollars of our people’s deposits. In addition, we paid approximately $17 Million in workers benefits to staff of ABI Bank, which they would have otherwise lost. My government also invested $30M to stabilize and rescue Caribbean Union Bank. And today we own approximately 80 percent of the shares of that bank. In stabilising the banking sector, we also saved the ECCU banking system from contagion and potentially, from financial meltdown that threatened it for over four years. By any objective assessment, we saved the nation from bankruptcy and pulled it back from the brink of economic collapse on which it hung dangerously, just three and a half years ago. It should be clear for all to see, that had this government not inherited this financial calamity from the previous administration that did absolutely nothing to resolve it, we would have had hundreds of millions more to spend on improving the lives of our people, including building 500 homes. As matters stand, we have over three hundred homes under construction and we remain determined, to provide several thousand homes in the coming years; in keeping with our commitment to expand and renew the housing stock. We could also have resurfaced roads which I acknowledge are in poor condition and require attention which we will give to them in the New Year. But, we were forced to prioritize spending. Stabilising the economy or repairing roads; savings people’s lives with better health services or repairing roads; building a new airport and sea port to earn money and provide jobs or repairing roads; supplying water or repairing roads. Those were the options we had. These were choices we would have preferred not to make, but the cupboard the UPP left was empty and the demands plentiful. So, when judgements are being made about the performance of this government over the last three and half years, it should be recalled that much creative effort, effective management and actual cash had to be spent on cauterizing this running sore left to fester by the UPP. That sore was evident in the woefully neglected health services. Mount St John’s had no working diagnostic equipment, a scarcity of important drugs and insufficient medical personnel. Sadly, the UPP did not care since it’s Cabinet Ministers all had access to overseas health care. Today, three and a half years later, the situation is vastly improved. From a hospital that could not treat even basic ailments; Mount St John now conducts kidney transplants, implants of pacemakers for heart conditions and it provides both chemotherapy and radiology treatment for cancer patients in partnership with the Cancer Centre. Further, in arrangements with doctors from the UK, the hospital is able to offer specialist treatment in a range of services both surgical and otherwise. Sight has been restored for more than 1,500 persons in operations for cataracts and pterygium. And, we are now amongst a few countries in the world that has been validated for the elimination of mother-to-child transmission of HIV/AIDS and syphilis. My government has already spent in excess of $35 million in acquiring state of the art diagnostic equipment, in delivering first world health care that residents of our country have a right to expect, and that they deserve. And that is because we care about the masses especially, the poor and the vulnerable. We put the health and the lives of people first. During the past three years, we have quadrupled our scholarships, increasing the aggregate spend to in excess of $20M annually, with approximately 1000 Antiguans & Barbudans on scholarship today. We have expanded the secondary school plant by over 210,000 square feet to include, the construction of the new Sir Novelle Richards Academy; which was constructed in a record two months and one week. Plans for the establishment of the fourth landed campus of UWI, at five islands are at an advanced stage. Sister and brothers, as this New Year dawns, I cannot help but be proud of what our country has achieved in the last three and a half years. We have every right to be proud of our record so far. Record accomplishments in health, education and social welfare. Record handling of the Barbuda crisis, despite the fact that we had no manual to guide us; no previous experience on which to draw. It is a better Antigua and Barbuda than the country the UPP mismanaged. It is a fairer Antigua and Barbuda than the system the UPP operated. It is a financially secure and stable Antigua and Barbuda unlike the bankruptcy, insolvency and ruin over which the UPP presided. We are transforming our country for better and for good. This year was an aberration in terms of crime and violence. Many of the homicides were a result of turf wars between gangs and the actions of an insane serial killer. Nonetheless, it will not be tolerated. Where these crimes are committed by foreigners, they will be punished according to the law and then deported instantaneously. Where the crimes are committed by citizens, they will also be severely punished with longer jail sentences. The Commissioner of Police has already announced his resolve to support the police in their efforts to curb crime. Both he and the force as a whole have my Government’s full backing. Ours must be a society free of crime. Those who prey on people or who think life is cheap, will pay a high price. There will be no retreat and no relaxation in our war on crime. Failing which, as Prime Minister and Minister of National Security, I will have questions to ask and action to take. The dogs of war are loose. I therefore, appeal to the criminal elements in our society to change their ways because, if they persist in crime and violence, they will surely pay. Sisters and brothers, I was not born with a silver spoon in my mouth. I struggled to eat. I walked the streets of poverty and want. I emerged from those streets, but I have never deserted them. I came into politics and into government to change our country for better and for good. That is not to suggest that I have a wish to overturn the achievements of business people. They have worked for what they have. I not only want them to keep it; I want them to expand their wealth and use it to build themselves further and to contribute broadly to our nation. I want to help them to do so. But, I also want to enlarge wealth and opportunity by putting them into the hands of many to include the poor and the vulnerable. That is why we have made available Crown land at a low development price of $3.00 per square foot to facilitate increased entrepreneurship. In a matter of weeks, my government will introduce the new Prime Minister’s Entrepreneurial Development programme. This will be funded by a new telecoms tax on incoming international calls, payable by the overseas entity. This initiative will have no impact on domestic telecoms pricing. Once again, I urge my fellow citizens to seize these opportunities. In three and a half years, we have made significant process. We have stabilised our financial sector and grown our economy. We have increased the nation’s wealth and reduced its liabilities. We have spent 20 million dollars annually in the higher education of our youth, and presently approximately 1000 are enrolled in schools of higher learning in a range of disciplines. We have increased home and car ownership. We are increasing employment and reducing poverty. We have restored faith in our country’s governance and built confidence in ourselves. That has been – and remains – our mission in which we are unwavering, unfaltering and untiring. What is clear, is that we cannot trust Harold Lovell and the UPP to run the economy anywhere – but into the ground. That must never be the option for our beloved Antigua and Barbuda. As the dawn breaks on a New Year, I know that by the strength of our collective action, we can crown our country with glory. We can build on the progress we have made in the last three and a half years as we work collectively to transform our country into an economic powerhouse in the Caribbean. And optimistic about the future, we can build a greater nation together. It is to that task that I urge you in this New Year 2018. It must be the year in which we consolidate our achievements; the year of unprecedented growth; the year in which we establish the pillars to build an inclusive, egalitarian and shining mansion for all. I wish you- one and all – a Happy and Prosperous New Year.